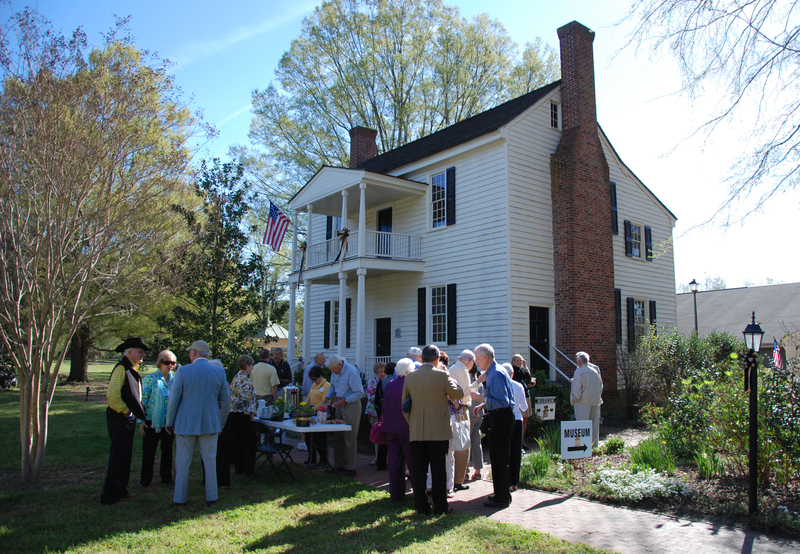 The Wake Forest Historical Museum hosted the Second Annual Old Campus Trek, presented by the Wake Forest University Office of Alumni Services, the Half-Century Club, the Wake Forest College Birthplace Society and the WFU Traditions Council. Approximately 300 invited guests enjoyed a day on the Old Campus, including a discussion titled Wake Forest: Then, Now & Tomorrow by Provost Emeritus Dr. Edwin G. Wilson (’43) and WFU Provost Dr. Rogan Kersh (’86); the dedication of the new Dr. George C. Mackie and Kathleen R. Mackie Lake Exhibit Gallery; and a presentation by noted scholar and author Dr. George W. Braswell, Jr. (’58) detailing his new book on religion and revolution. The day ended with a lively trio of speeches about sports on the Old Campus from beloved alums Jack Murdock (’57), Marietta Perry Dormire (’56) and Gray Boyette (’56). This entry was posted on July 18, 2013 by wakeforestmuseum in The Wake Forest Spirit and tagged Edwin Wilson, Old Campus Trek, Rogan Kersh, Wake Forest College, WFU.